The report’s summary noted that key factors affecting the contractor’s work on the weapons mission were quality issues, conduct of operations issues, timely coordination and receipt of weapons response from the design agencies, and a work stoppage at Pantex that was associated with negotiations on a new bargaining agreement. The report cites the contractor’s performance on a number of deliverables for Directed Stockpile Work, including the refurbishment of W76-1 warheads. According to the report, Consolidated Nuclear Security accomplished 101 percent of the secondary schedule for the W76-1, met the shipments to the military and achieved 85 percent of the NNSA’s total commitment to the Defense Department. “CNS worked extensive overtime during the course of the year (on the W76-1), which drove an increase in program costs,” the report stated. In the dismantlement program, CNS achieved 101 percent of the dismantlements related to secondaries, but only 66 percent of the “revised Production Control Document” baseline schedule. The evaluation report said the “low performance” against the revised baseline schedule put the NNSA off-course for achieving a 2022 dismantlement goal. The NNSA said the Y-12/Pantex contractor “did not meet many of the expectations in achieving work at the expected level of quality.” Persistent issues throughout the year hurt CNS’ ability to deliver products consistent with design specifications, the report said. The report pointed out issues with the new configurations for the B61 joint test assemblies. “CNS experienced quality issues on five of the first six First Production Units,” the report stated. There also was an issue regarding data entered into the system for completed W76-1 units, with one of the subassemblies getting a duplicate serial number. A follow-up review revealed there had been multiple duplicated serial numbers on W88 warhead subassemblies. Under stockpile surveillance, the report said CNS did not meet the majority of the expectations for “scheduled surveillance activities, deliverables and requirements as documented within each applicable weapons system approved Integrated Weapon Evaluation Team (IWET) Plans” and associated directive documents. 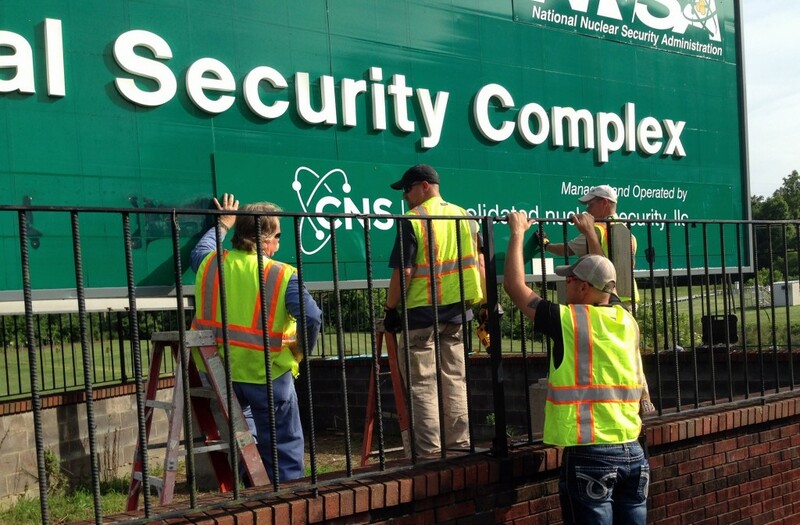 “At the Pantex Plant, CNS encountered numerous issues during the fiscal year that had negative impacts on surveillance work,” the report stated. On a positive note related to the consolidation of the Y-12 and Pantex management contracts, the NNSA said Consolidated Nuclear Security shared Y-12’s engineering resources on a Pantex project that helped save a significant amount of time and “possible cost savings” for implementation of a non-destructive laser gas sampling system. On the life-extension project for the B61-12 (consolidating multiple versions of the bomb), the NNSA said Consolidated Nuclear Security met expectations and supported all joint tests without affecting test dates except for a material accountability issue, which was blamed on infrastructure issues and the strike at Pantex. “CNS at Y-12 was able to re-establish key B61 processes, unused in over a decade, to support early development hardware deliverables,” the report stated. According to the report, the contractor did not meet expectations on the use of a production microwave caster at Y-12, citing a number of issues that impacted the schedule. “Unfortunately, CNS was unable to recover the schedule,” the report said, noting that microwave casting is important because the technology is a part of future capabilities planned for the Uranium Processing Facility.